Ok, so this one is actually a little hard. My goal is to drink one gallon of water a day and I’ve been trying to build up to that. 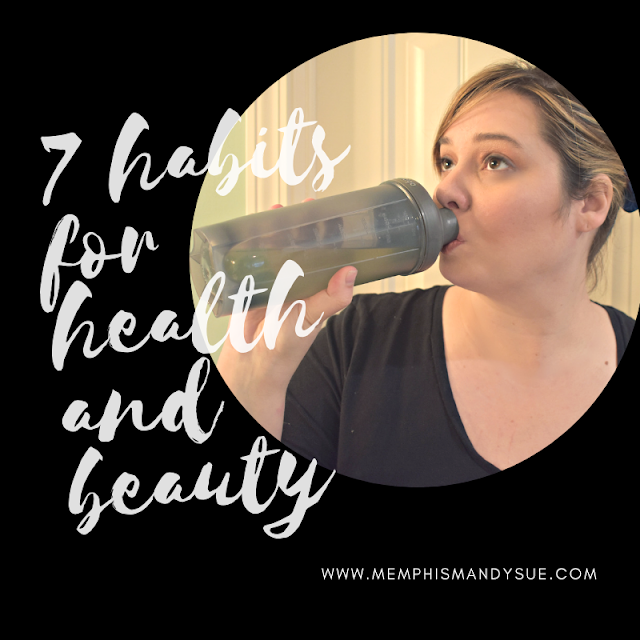 I find when I focus on drinking water the first 60oz are no big deal - but beyond that I struggle so I’m trying to build up to that gallon - right now I’m drinking about 80 oz a day and I plan to hit the gallon mark by the end of February. I find flavoring my water helps a lot and I use crystal light lemonade packets. Not only does water have great health benefits but I find that my skin is better the more water I drink. Speaking of skin care I'm sure you’re already using a moisturizer and SPF but what about your eyes? I was completely guilty of not giving the skin around my eyes any special love even though it’s thinner and much more delicate than the rest of the face because I always thought eye creams were too expensive. While eye creams do tend to be pricier it’s because they are heavily concentrated with ingredients to make an impact - and a little goes a long way. I’m currently using T2 Oxygen Eye Cream from VIIcode and even the small jar is lasting a long time - I’m 6 weeks in and still have 1/2 the jar left. I’ve definitely noticed smoother skin in this area by giving it some special attention. This year I’ve been successful at eating green every single day! At dinner Shaun and I try to cover at least 1/2 our plate with green veggies such as spinach salads, green beans, broccoli and asparagus. I have to confess that this wasn’t always the case and when I did eat a salad I was using heavy dressings like ranch. For our veggies I sauté with a drizzle of olive oil and use salt, pepper and garlic powder. For salads we use Brianna’s dressing - our favorite is the blush wine vinaigrette - and then I add some almond slices and a little bit of feta cheese. I find that mixing our salads in a big bowl helps cut down on the dressing instead of just pouring it over the salad. This one is still a work in progress for me but I feel like sometimes we make these grand goals of overhauling of lives in the new year and it’s too much to try to do at once. My main focus for January has really been to improve my diet because you can’t outrun a bad diet but I’m also trying to move more. Walking is a great way to start because it’s not intimidating, it’s easy to do a little bit at a time and it’s completly free. I’d like to take up running again this year but building up my endurance with walking has been great. I’ve talked a lot on here how I’ve struggled with my hair since keeping it longer. I’m a wash my hair everyday kinda gal because I have an oily scalp (I’ve tried not washing daily and I just feel dirty and yuck all day - it’s not for me). Adding deep conditioner throughout the week has made a big difference in keeping my hair softer and less tangled. I usually use a deep conditioner two to three times a week in place of my regular conditioner. On Sundays I usually take a bubble bath so I’ll put it in and let it set for 15 minutes or so - but it really only needs a few minutes so the other days I just do it in the shower and leave it on while I shave. I’ve been using the L’Oréal Elvive brand because it’s accessable, affordable and does just as good of a job as more expensive conditioners. No matter what day of the week I think beyond the little things we should be doing everyday to take care of our selves it’s importat to take time at least one a week to relax. For that’s a bubble bath - I light scented candles, pour in a bubble bath, put on a mask, condition my hair and relax. Sometimes I’ll watch a show or read a magazine and other times I’ll simply just relax and try to focus on just feeling good. We don’t have children yet so I am a little spoiled in that I usually have time to do this twice a week so I usually have my self care Sunday and mid week refresh on Wednesdays. I strongly recommend getting a space heater for the bathroom so you’re not freezing when you get out. If you don’t have a soaker tub like I do I’d really recommend joining a gym that has a hot tub - yeah you can’t do the mask but you still get the benefits of soaking away the day. The less markup I wear the more I find I don't need makeup. This one happened by accident since I started the year sick and super congested but I noticed that I wasn't breaking out since I didn't have makeup clogging my pores. I still love makeup and will wear it when I go out on the weekends but I'm realizing that I don't need to wear it every single day - and during the week when I do wear makeup I'm wearing less of it. So there you have, seven easy ways to take what you're already doing and make it better this year. I'm glad I focused on small changes because overall I think they're making a big impact. 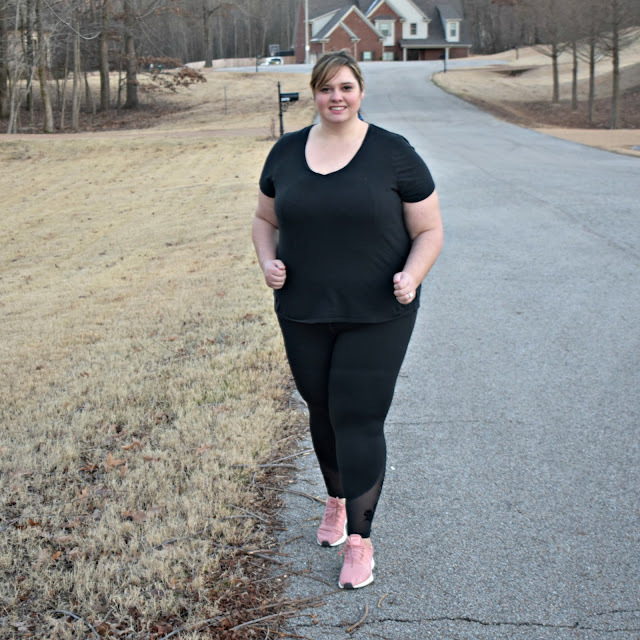 I hope this post inspires you to think of some ways you can make small changes in your own health and beauty routines.